And the winner of the autographed Michael Cuddyer Baseball is….. | That's Twins Baseball. A Minnesota Twins Blog. You may recall, back in February I started a fundraiser for my hometown baseball team who were in need of funds to help upgrade their ballpark. I said I would match every donation up to $150 and then sweetened the pot a bit. 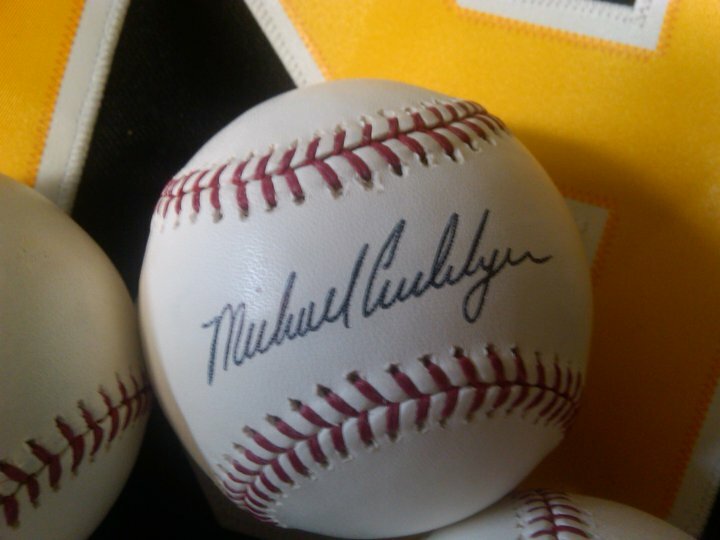 For every person who donated $5 or more, their names would be entered in a drawing for an autographed Michael Cuddyer baseball from my personal collection. One of the cleanest autographs in sports. Influenced by Harmon Killebrew. I was overwhelmed with the support coming from people I’ve never met online who wanted to help out. Within a month we had raised nearly $1000 and to all of you who donated, I give my sincerest thanks. I would like to thank everyone who helped spread the word on Twitter and Facebook as well. I was surprised at how quickly this got around through social media and it played a major role. Now I must fulfill my promise of giving away one of my favorite pieces of Twins memorabilia, my autographed baseball from Twins All-Star, Michael Cuddyer. One Response to And the winner of the autographed Michael Cuddyer Baseball is….. I wanted to win this ball so hard.